I wont say Vicky Kaushal has arrived. He already did a few years back. But, Vicky for sure has marked his name in the list of actors who are slowly and steadily climbing the charts. His latest movie Raazi is getting a lot of love, further cementing Vickys position in an industry which has off-late seen a shift in the kind of films being made. And with content being the king today, Vicky can be called the strongest contender for the throne. Meghna Gulzars Raazi starring Alia Bhatt as the main protagonist talks about a new kind of patriotism. And while we know one needs to be a profound performer to be in the same frame with Alia, Vicky has managed to win hearts. His restrained act, refusing to go over the top, is just what the film needed to ensure it doesnt become preachy. And the films success has become his best birthday gift this year. 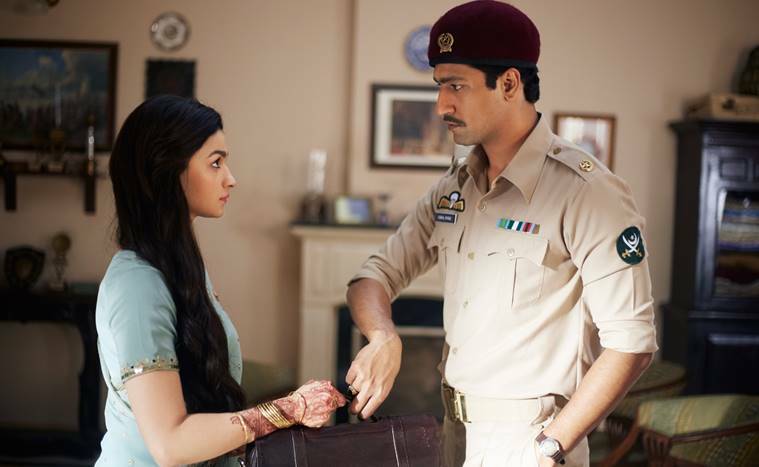 Vicky Kaushals restrained act in Raazi is getting a lot of praise. Vicky plays Sehmats husband and Pakistani army officer Iqbal Syed. While his character might be of someone on the other side of the border, not once does he make his performance jarring. Vicky has lesser screen time than Alia, but whenever he arrives, he lets his eyes do the major talking. And just when we start believing that Vickys restrained acting is what makes him an actor to watch out for today, he flaunts his soft friendly smile winning the tag of a perfect charmer. Both Alia and Vicky, standing on opposite sides, seem right in their own light. He is the underdog, yet with one of the most intense parts. Vickys simplicity makes the audience fall in love with him again and again. 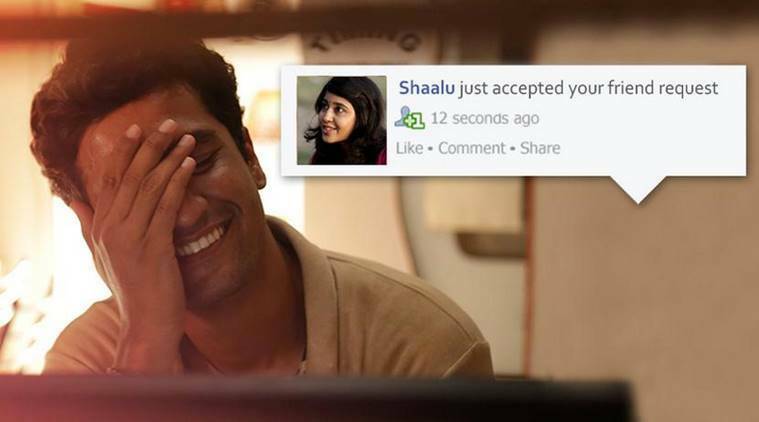 Vicky Kaushal has assisted Anurag Kashyap in Gangs of Wasseypur. Vicky has vulnerable moments in the film, that of a son, a brother and a husband. His character is the biggest support for Sehmat in the house which would never belong to her. From not forcing himself on her, to taking care of her needs, Vicky can be called every womans dream man. And this, I dont mean because his character Iqbal was written in a certain way. It is infact Vickys very own mettle to own up every role he picks. Even when the husband-wife confront each other with a gun in hand, they end up doing whats least expected from a Bollywood film. When Raazi was announced last year, we were excited to have Meghna Gulzar back to direction. But more so, when Alia was paired opposite Vicky, this unconventional pairing made us curious. Though many said Vicky just has “few scenes” in Raazi, he proved everyone wrong by not just dominating every frame, but also hearts. In most part of the film, he is wearing the uniform, enough to leave his female fans weak in their knees. 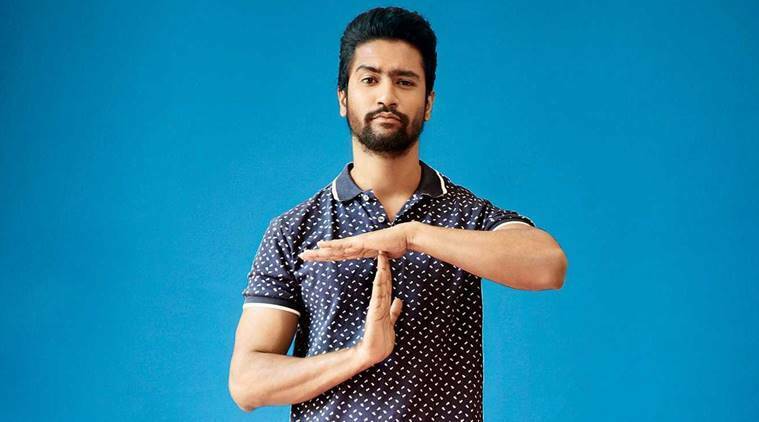 Vicky Kaushal grabbed eyeballs with Neeraj Ghaywans award-winning film Masaan. Vicky is the latest poster boy of Bollywood, and why not. The actor who featured in Forbes Indias 30 Under 30 list this year was called the silent performer, an apt description for an actor who has in his last half a dozen films proved why he is ready to challenge all his contemporaries. Be it the soulful act in Masaan or his gritty performance in Raman Raghav, Vicky has made interesting career choices till now. From being a revelation in Masaan to standing at par with a powerhouse actor Nawazuddin Siddiqui in Raman Raghav, he has aced whatever he picked. Special mention to one of his most charming acts – Love Per Square Foot on Netflix. We saw a different Vicky in this one, who romanced, danced and even did great comedy. 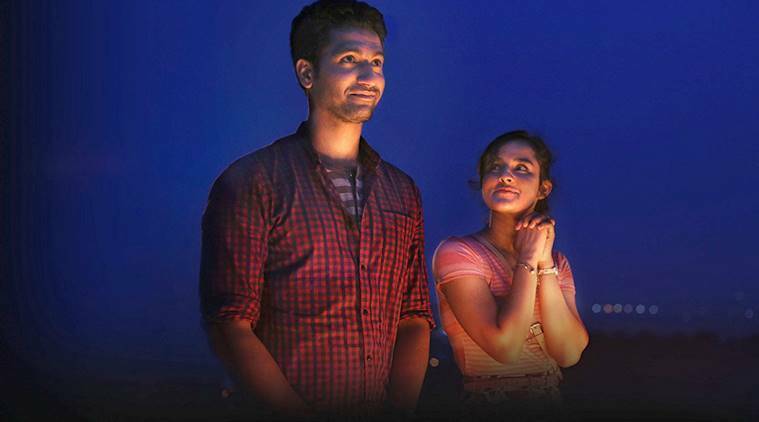 Vicky Kaushal and Angira Dhar in a still from Netflix film Love Per Square Foot. Vicky is the son of action director Shyam Kaushal. But, do we really care? No! Thats because not one ounce of being an insider is visible from his hard work and line-up of films. He seems okay even if he isnt the main protagonist. In his upcoming Sanju, he plays Ranbir Kapoors friend. Vicky is inching towards being the crème de la crème of the industry. And with big directors like Anurag Kashyap, Karan Johar and Rajkumar Hirani eyeing him, Vicky is set for a long innings. Vickys 2018 looks enough promising. With a three-film deal with Ronnie Screwvala, he has some plum projects coming his way. His upcoming Manmarziyaan is currently on floors. He is also a part of KJos short in anthology film Lust Stories. And theres even Uri. Today, when the audiences preferences are becoming more and more performance oriented with each passing year, it is a great time for real actors. And with Vicky currently topping this list, the entire industry needs to take note of him. And for others, Vicky can just flash his signature shy smile! It is just the start of his golden years in films. Previous articleWhat is meta, and how does Deadpool effectively deliver on it? EastEnders spoilers: Romance ahead for Louise Mitchell and Keanu Taylor in new twist? Abraham Cruzvillegas, Autoreconstrucción: To Insist, to Insist, to Insist. Performer: Bárbara Foulke..
(Picture: ITV) Chas Dingle is set to make another life changing decision in Emmerdale that will leav..